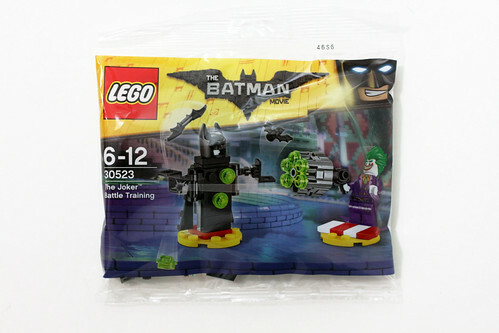 One of The LEGO Batman Movie polybags that will be coming out in conjunction with the movie is The Joker Battle Training (30523). 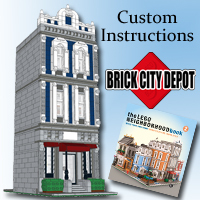 The only current way to get it is at LEGOLAND and LEGOLAND Discovery Centers and on eBay . 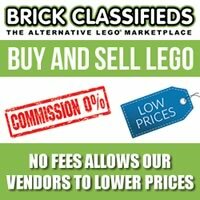 There’s been no information on how the 49 piece polybag will be further distributed at this time. 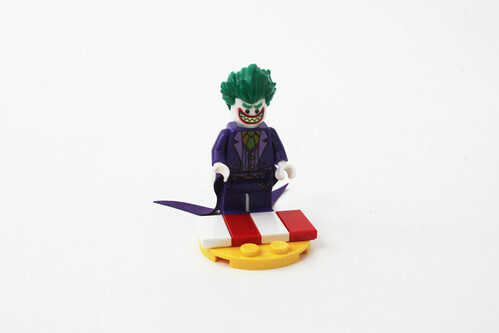 The Joker is not an exclusive minifigure as it is the same as the one found in The Joker Balloon Escape (70900). He wears his signature purple suit as in the aforementioned Balloon Escape as well as in The Scuttler (70908). There’s even the long coattail piece that goes between the torso and legs which is also in the Ballon Escape. The double-sided head has expressions of an evil smile and a very happy smile. 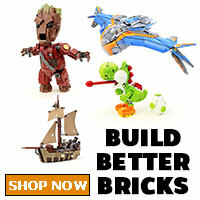 There are three little builds to this polybag. 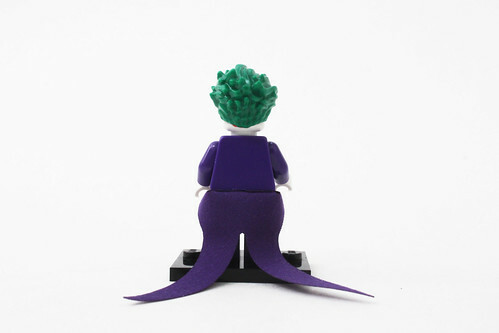 The first is just the little stand for the Joker that also uses some red and white 1×2 tiles. The stand is pretty required as the gatling gun is front-heavy and he will have a hard time standing on his own. The next build is his large six-stud gatling gun. The gun is a standard gun but there’s the large gatling gun barrel in the front. The studs are trans-green and you get a lot of spare ones too. 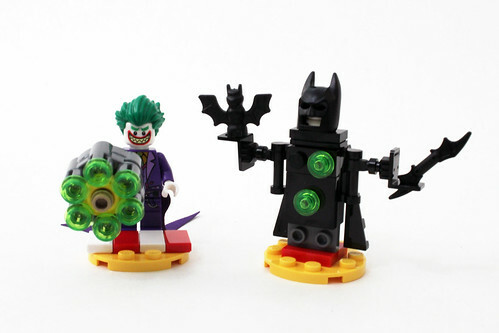 The last part of the polybag build is the Batman training dummy. 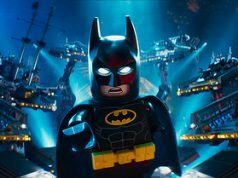 The head isn’t really a head but just Batman’s cowl that is loosely placed on top of a 1×1 round tile. 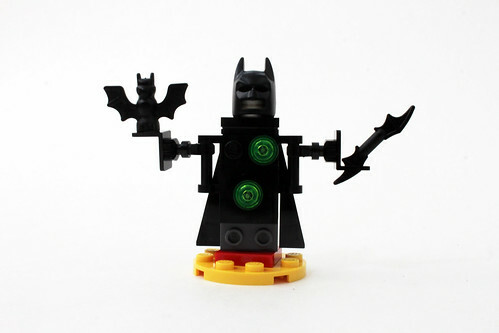 The hands are just some neck brackets that a bat and Batarang sit on. The whole training dummy sits on top a 2×2 tile with pin that allows it to spin. 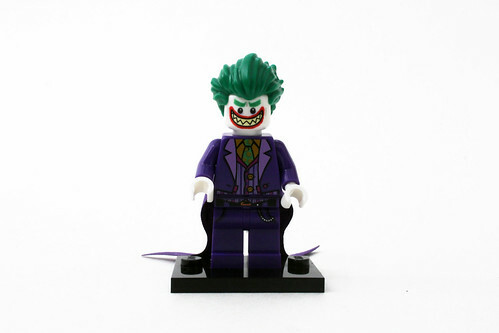 Overall, The LEGO Batman Movie The Joker Battle Training (30523) is a pretty intersting polybag. 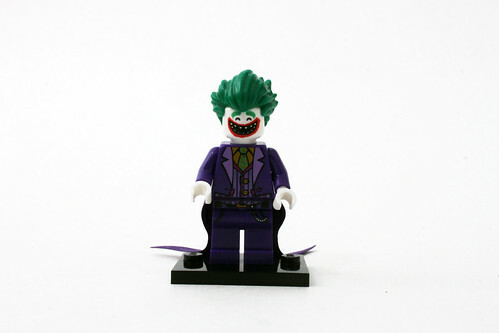 You do get the Joker in an even cheaper way if you are able to find the polybag. 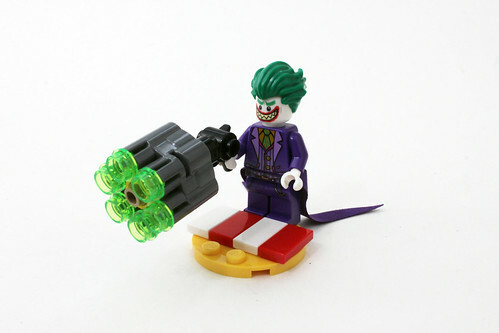 The combination of the gatling gun and the training dummy is a really good play feature, especially for younger kids. 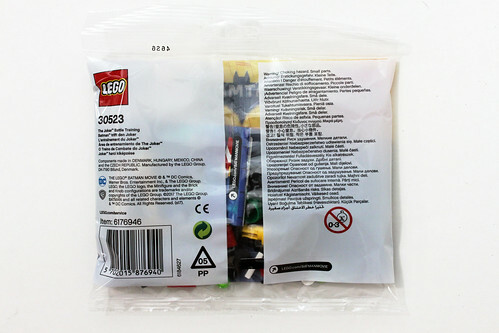 Again, this polybag is found at LEGOLAND and LEGOLAND Discovery Centers and on if you’re feeling really adventurous, eBay . 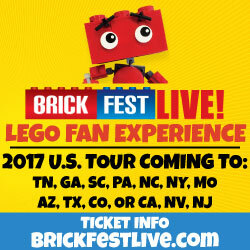 If you aren’t able to find the polybag, the instruction are now live if you want to build your own.